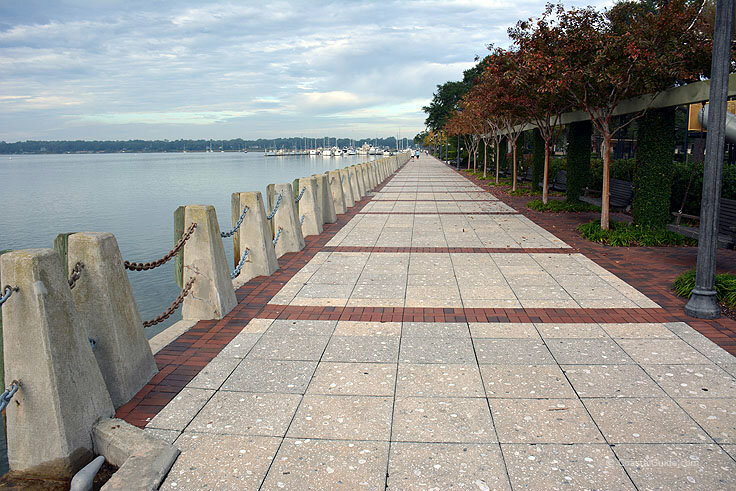 Spend an early morning outdoors with a hot cup of coffee and a gorgeous waterfront sunrise, or enjoy a romantic stroll around sunset watching Beaufort's ships come in, with a visit to the exceptionally beautiful Henry C. Chambers Waterfront Park. 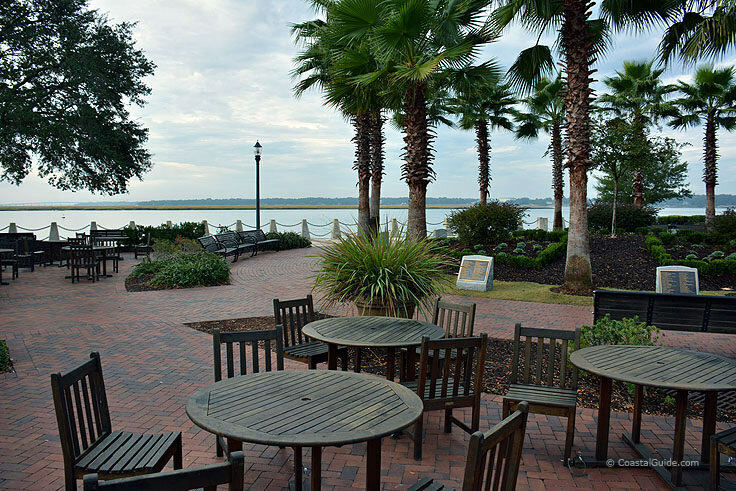 This scenic public park which serves as both a local marina and a picturesque spot to simply relax and watch the on-the-eater world go by is a must-see for any Beaufort visitor with a love of wide open water views. 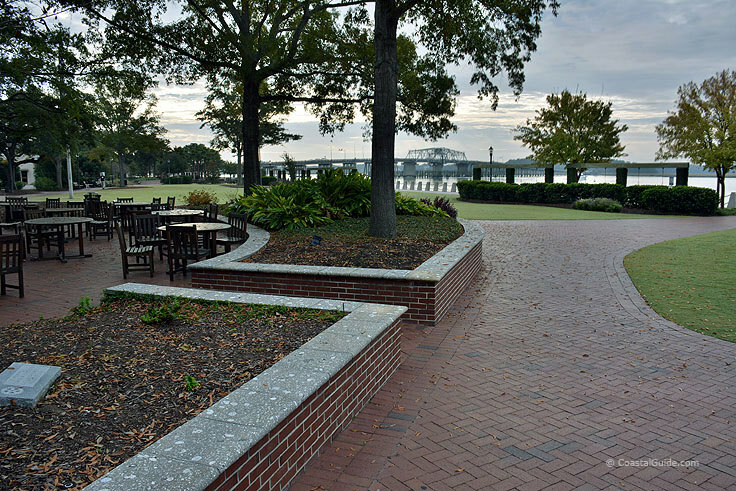 A gorgeous but short retreat for an afternoon picnic, a breezy walk, or just a little insight into the action on the water, the Henry C. Chambers Waterfront Park is a refreshing spot for any Beaufort newcomer who wants to experience, first hand, this small city's inherent love of the water. The park, which arguably anchors the downtown region with a pretty plot of green space to border the blocks of shops, businesses and banks, which dominate this region of town, was first established in 1975. 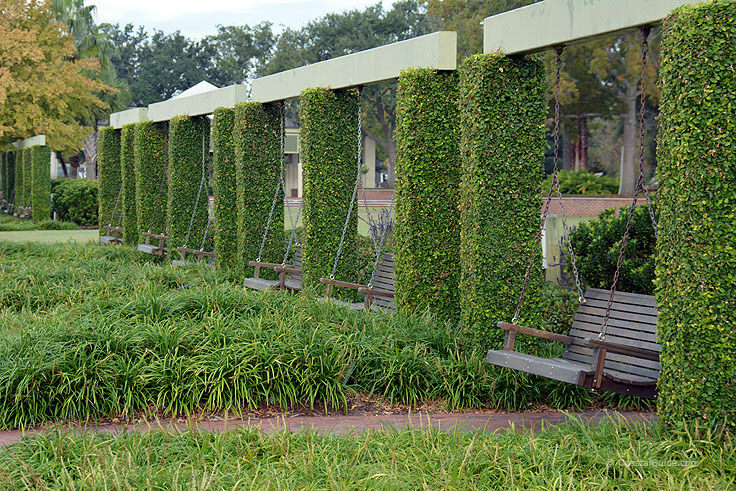 It officially opened in 1979, with 7 beautifully landscaped acres that effectively border the water's edge. 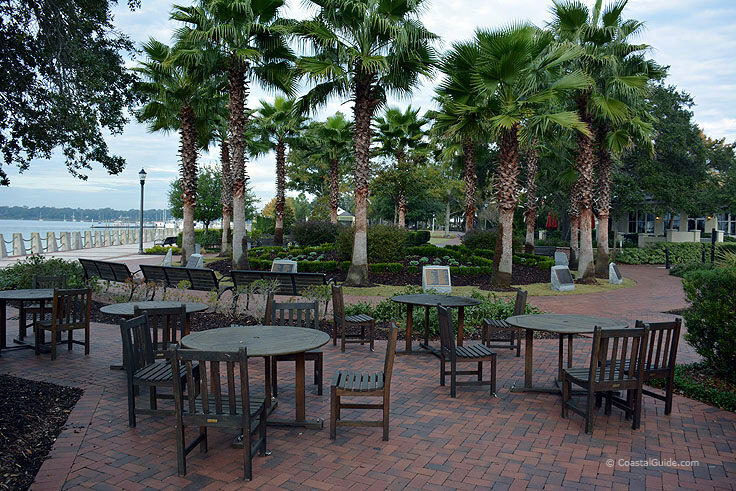 The park was named after the local Beaufort mayor at the time, Henry C. Chambers, who spent a notably significant portion of his career championing the replacement of old abandoned docks and replacing them with public parks where regular locals and area newcomers could enjoy a slice of serenity by the riverfront. 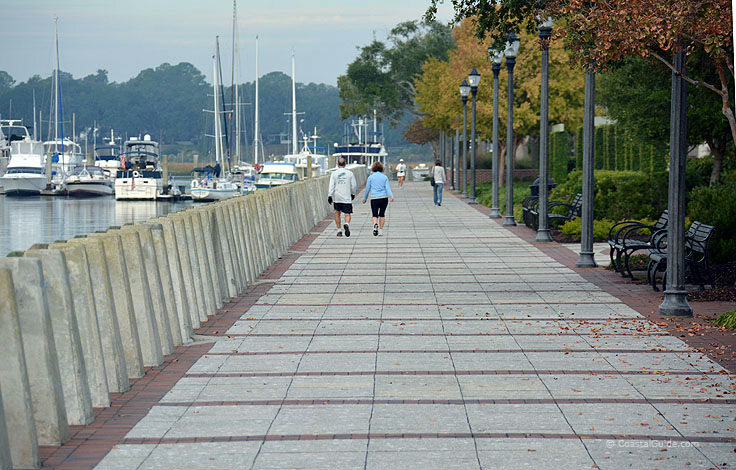 At the time of the park's construction, Beaufort's downtown waterfront region was widely considered as an eyesore. The unpopulated areas were covered with dilapidated docks and piles of trash, mainly old used car tires, and was a relatively ugly scene that had seeped its way into the downtown region by the late 1950s and early 1960s. It was a 1960s mayor in fact, Willie Scheper, who finally addressed the situation and decided that a complete downtown overhaul, with the addition of new shops, restaurants, and businesses, would change the face of this historic South Carolina city. This effort was altogether successful, and one of the mayor's successors, Henry C. Chambers, (who faced a bit of opposition and a lack of funds in his intent to expand this project), was nonetheless successful in creating one of the top rated attractions in the city of Beaufort, and the southern SC region. 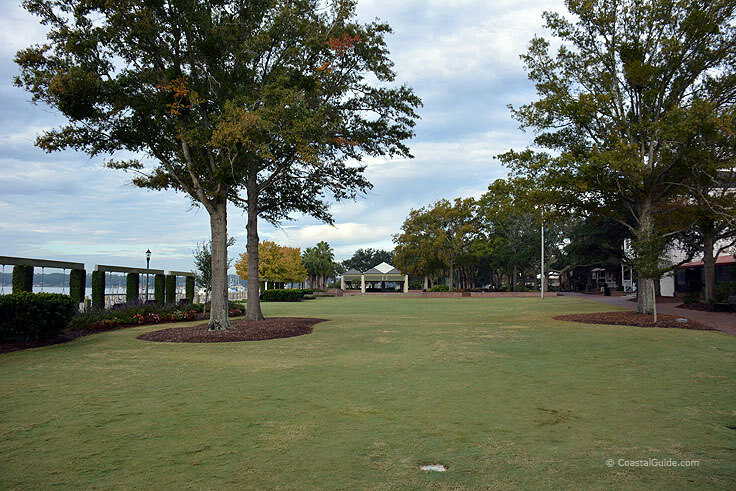 Chamber's vision for the park included a 100-slip marina and store, pavilion, amphitheater, gardens, playground and farmers market, and eventually, as portions of the park were completed, this vision came to fruition. The meager budget of $5.3 million, small for a grand plan of this scale, was remarkably met with funds to spare, and the park has received simply rave reviews ever since. In 2001. 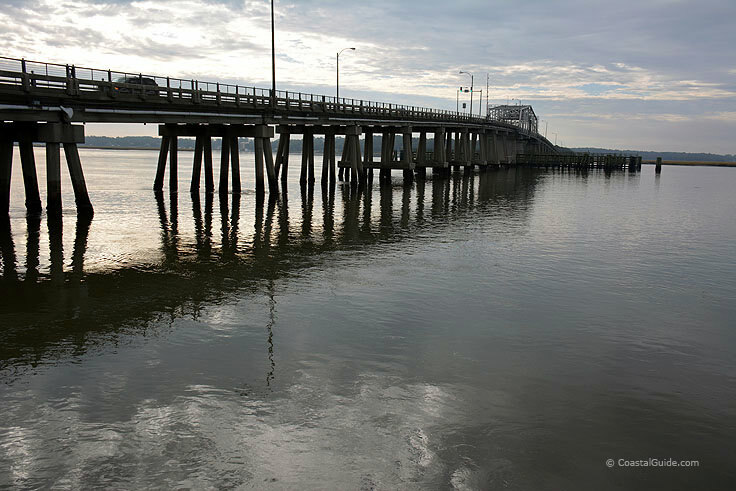 A $5.5 million renovation commenced, which was followed in 2005 with a second remodel to account for seawall, storm water and electrical system repairs and upgrades. At this time, Chamber's originally-dreamed magnificent pavilion was added, in addition to playgrounds and a separate building for restrooms. A ribbon-cutting ceremony was held on Saturday, March 10, 2007, and since this new "grand opening," thousands of visitors have made daily treks to the waterfront to enjoy the wide open and simply beautiful scene. 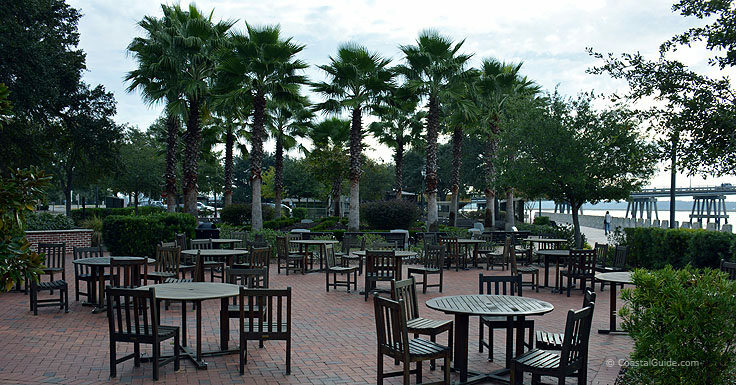 Because the park is bordered by the expansive marina, which in turn borders the Beaufort River and is a short distance from the open ocean waters, nearly every good-weather day is an excellent opportunity to catch the action of privately owned ships venturing to and from the Atlantic Ocean. Fishing charters, private yachts and skiffs, and everything in between can all be found along the water, heading out in the early morning hours and coming home as the sun sets over the city. Of course, while watching the local maritime traffic is a favorite local pastime, it certainly isn't the only adventure waiting along the waterfront shores. Visitors can bring the kids along to enjoy the expansive playground, stroll along the well-manicured walking paths which are peacefully shaded by live oaks and Palmettos, enjoy a lazy day of fishing, or simply set up camp for a leisurely afternoon family picnic. 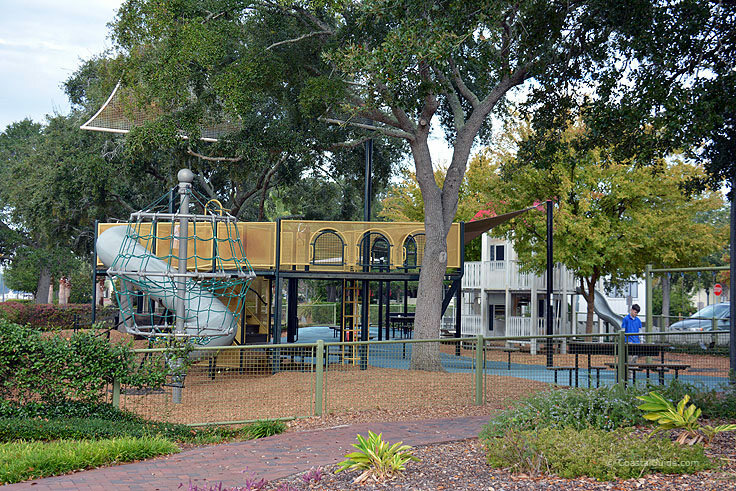 All of these adventures are free of charge, and the park also features drinking water, on-site restrooms, and a "dog-friendly" atmosphere, where canines are welcome to explore the region and meet other furry Beaufort natives. 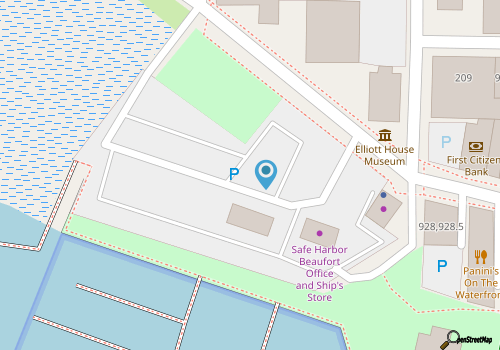 Parking is free at the site, and frequent visitors attest there's plenty of comfortable benches and outdoor seating to go around for a quiet waterfront sunrise or sunset. 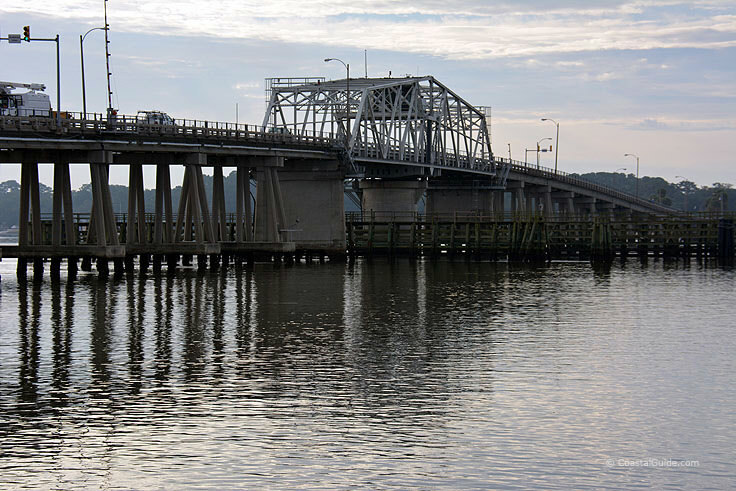 The park is generally open from dawn until dusk, and visitors should keep a distant eye out for the outlaying attraction of Lady's Island, the eastern side of Port Royal Island, and the northern tip of Parris Island. 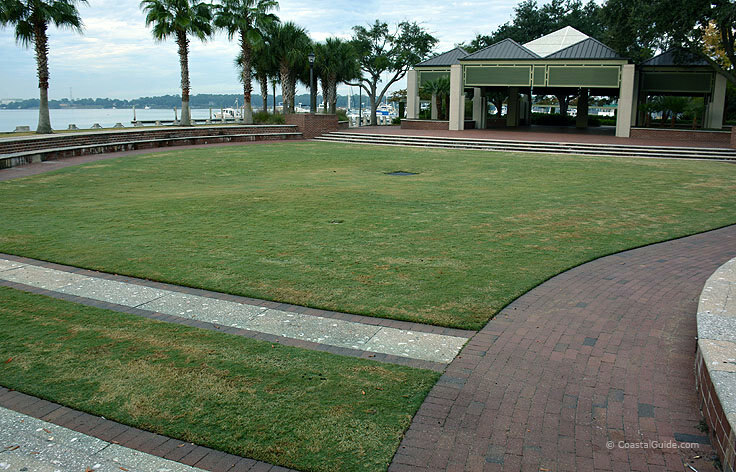 Henry C. Chambers Waterfront Park essentially can serve a number of purposes. For some visitors, the park is a romantic spot to enjoy a secluded spot of peace and quiet in the heart of downtown, while others come for the playground, swings, and open spaces where kids can burn off a little energy, allowing parents to relax for a moment and enjoy the scene. 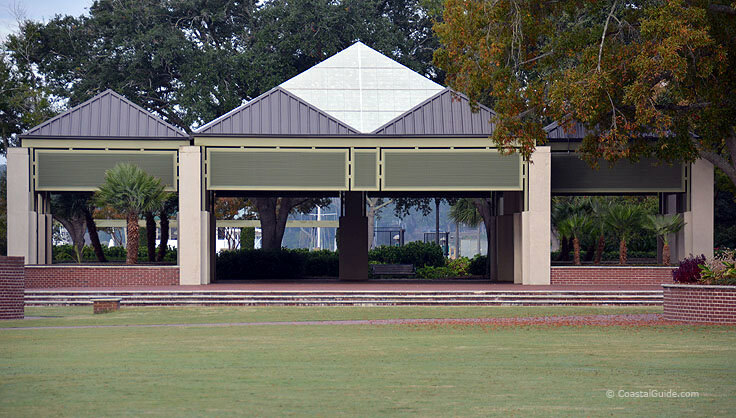 Others come to the park for the great fishing, fantastic photo ops, solid picnic facilities, or just a sunny, breezy break that is easily accessible outside of Beaufort's main sites and attractions. 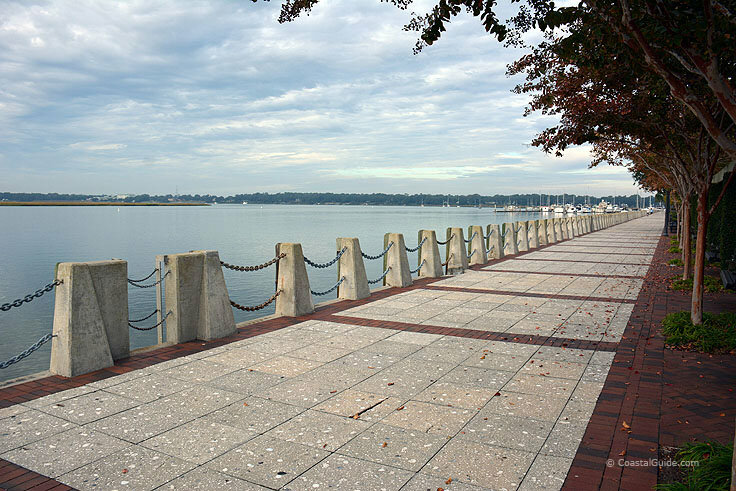 Regardless of how a visitors chooses to enjoy the Henry C. Chambers Waterfront Park, like the endless waterfront horizon, the options are clearly wide open. Bring a picnic basket, a camera, or just a loved one to share the gorgeous backdrop, and enjoy one of this historic town's resounding efforts to cement its reputation as one of the prettiest coastal communities in South Carolina.